Designing a sports stadium is no easy task. You have to create a building that can facilitate the flow of tens of thousands of people in a short time, provide shopping and catering facilities and give spectators an amazing view of the game. Some architects do this with panache, designing stadiums that look truly amazing, while also fulfilling their function to a tee. 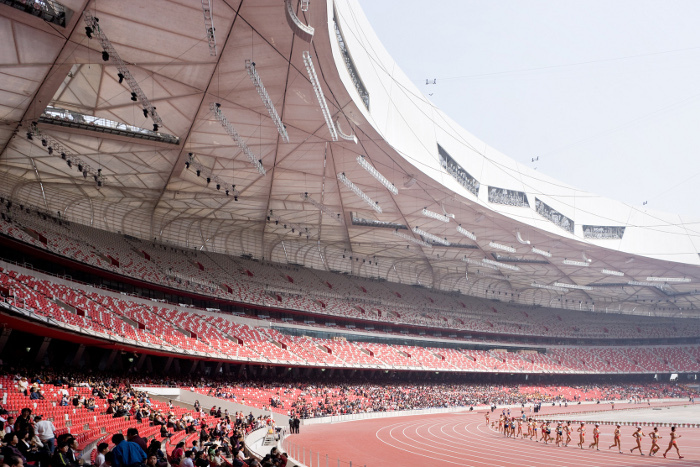 With the world cup currently obsessing much of the world, we've decided to turn our attention to the design of sports stadiums, as we bring you 10 of the world's most innovative and spectacular sporting venues, from the beautiful complexity of the Beijing National Stadium (also known as the Bird's Nest) to the classic coliseum-like architecture of the Estadio Nacional in Brazil. 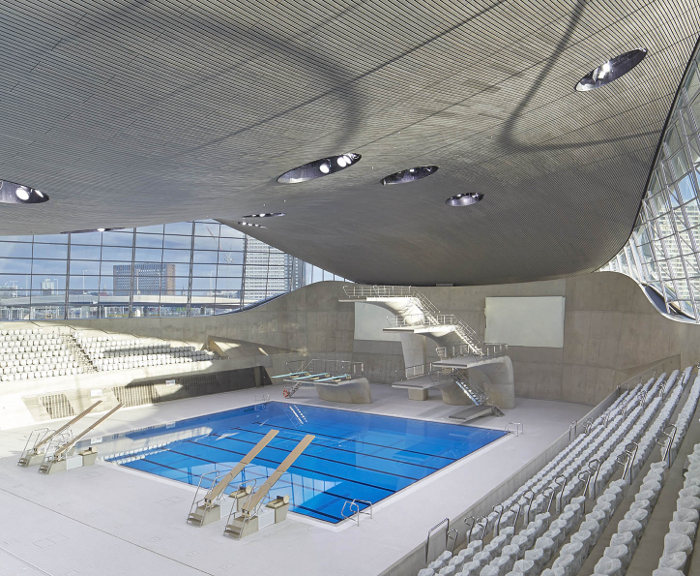 Here's our list of the world's 10 best-designed sports stadiums. From a stadium that looks like a bird's nest to one with spots on, this is the new stadium for Belarusian football club FC BATE Borisov. 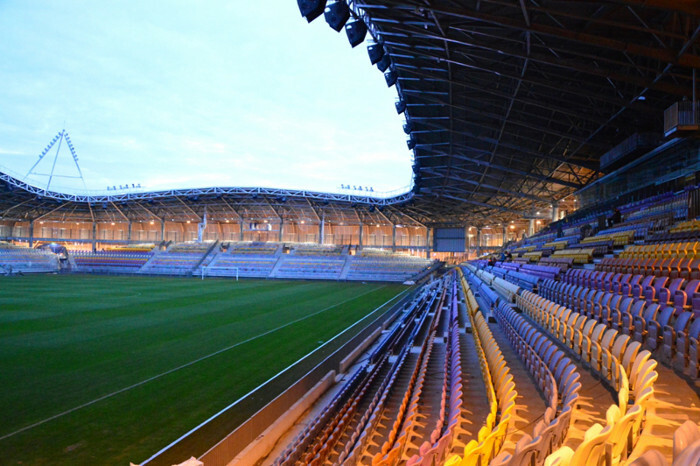 Designed by Slovenian company OFIS Arhitekti to meet UEFA requirements, this 13,000-seater football stadium, unveiled in 2012, is football club BATE Borisov's new home. 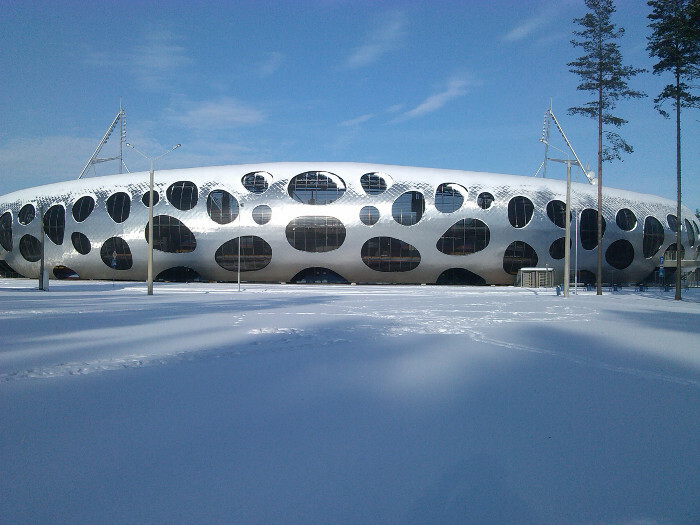 The stadium is draped in aluminium and imitates the construction of living cells highlighted by splodgy openings. 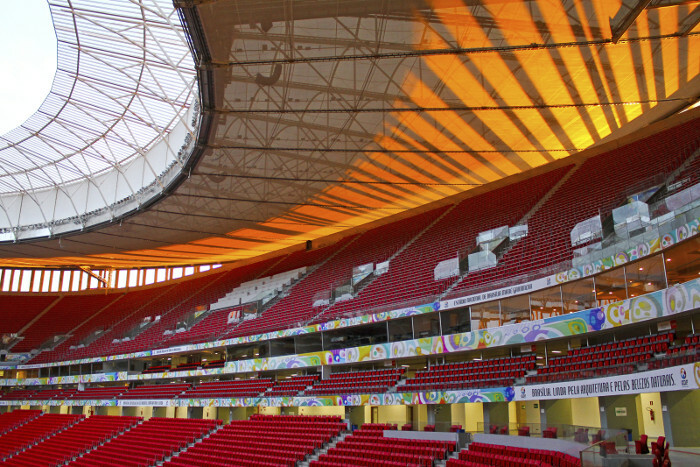 A shimmering skin-like fabric covers the dome and makes the stadium appear alive. The rounded shape of this arena enhances the sound and intensifies crowd enthusiasm during matches. It is bordered by a 3,000 square foot pedestrian plaza, which escorts fans to parking lots that are carved into the surrounding forests. 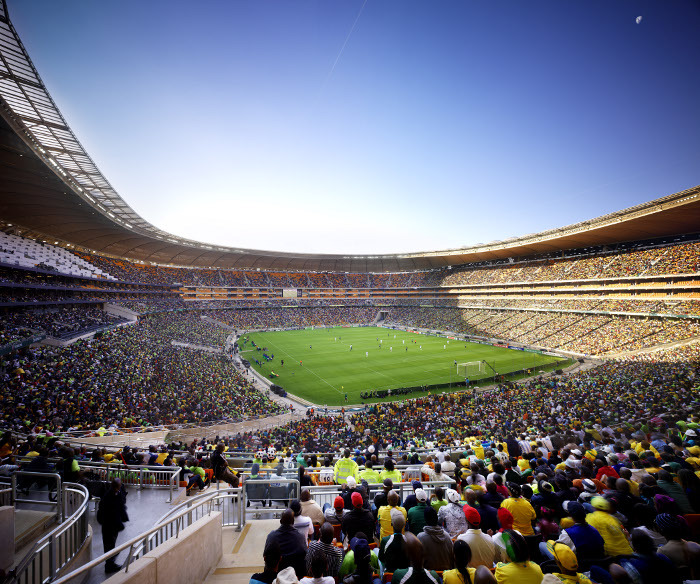 This stadium was build to host the 2010 FIFA World Cup, the first time the event had taken place in Africa. 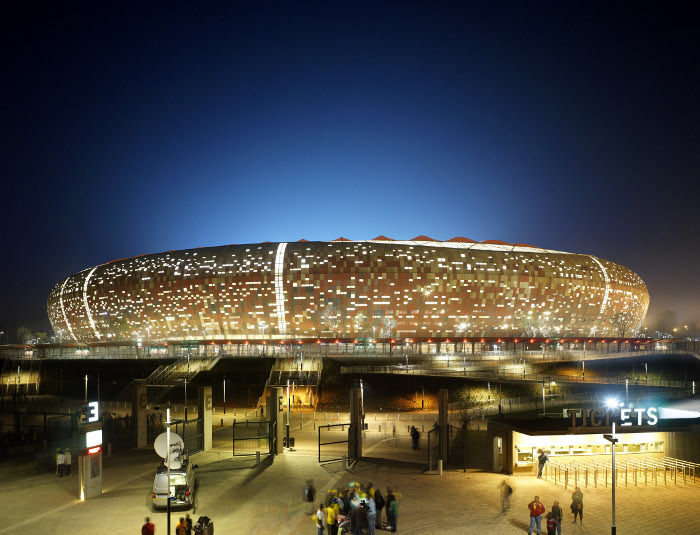 The challenge for designer Populous was to create a new state of the art stadium that would act as a symbol for modern African culture and, crucially, meet FIFA's technical requirements. The design had to work around an existing historic stadium, and so theproject called for the right balance of renovation and rebuilding. 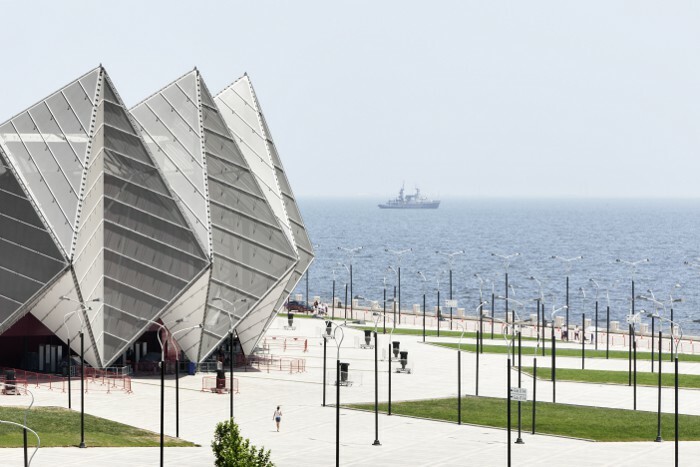 The facade is made up of a specially designed cladding system, developed as fiber-cement panels that could be produced using locally sourced material. This gives a unique African flavor to the facade of the building. The pot is punctured by open panels thatprovide natural ventilation and, when the stadium is lit up, mimic the starlit African sky. The structural profile of the upper levels was extended all round to encircle the pitch, while the lower embankments were rebuilt, vastly improving the view lines. 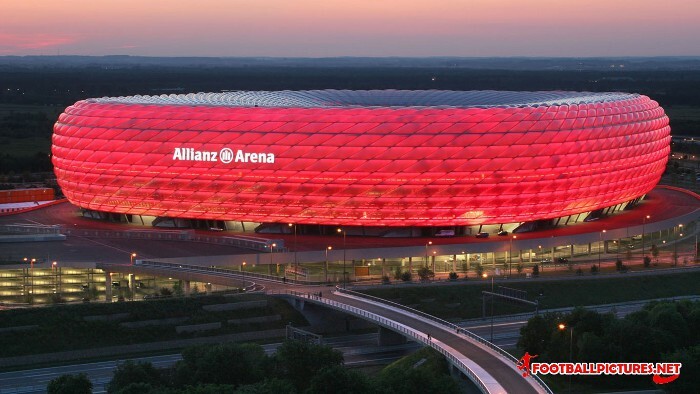 Also by Herzog & de Meuron - the designers of the Beijing National Stadium - the Allianz Arena is home to the world-famous German football club Bayern Munich, and with its colour-changing facade has become a something of a tourist attraction. Both the shell and the structural skeleton of the stadium are designed throughout to implement these three key concerns. 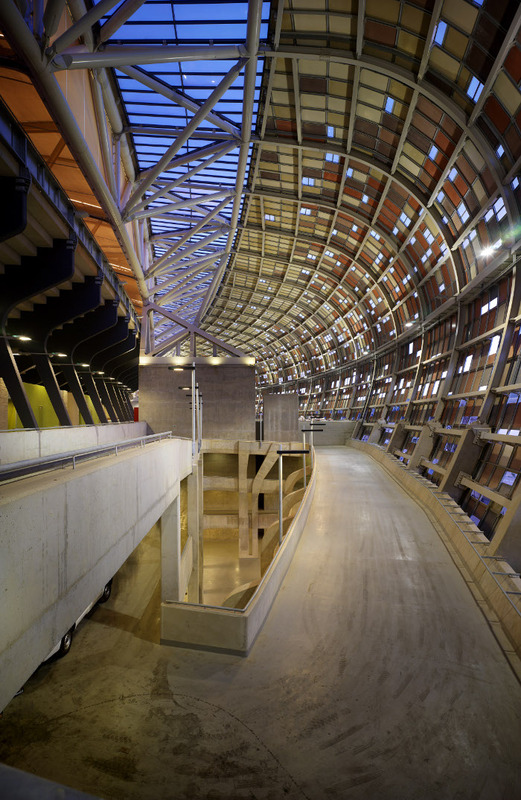 Hence, the main stairs along the outside of the shell follow the line of greatest slope, underscoring the procession-like approach of visitors to the stadium. These themes lend the project its distinctive character, while other locations and rooms, such as the VIP Lounges, Lobbies, Catering Zones, etc., are functionally indistinguishable from those of other stadiums and are subject to the changes inevitably introduced by their users. 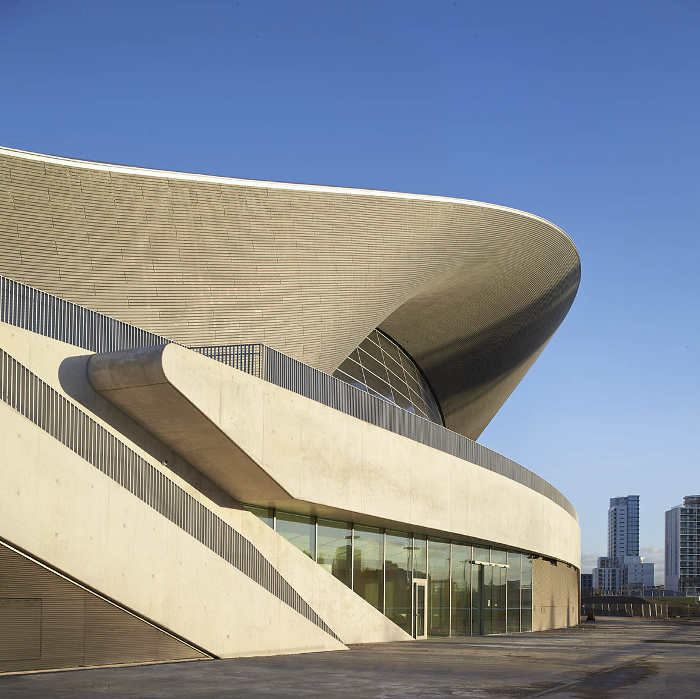 British architect Zaha Hadid - and her practice Zaha Hadid Architects - excel at creating organic-looking forms in architecture, so it seems only natural that when they were commissioned to design the Aquatics Centre for the 2012 Olympic Games in London, the practice took their inspiration from water. creating spaces and a surrounding environment in sympathy with the river landscape of the Olympic Park. 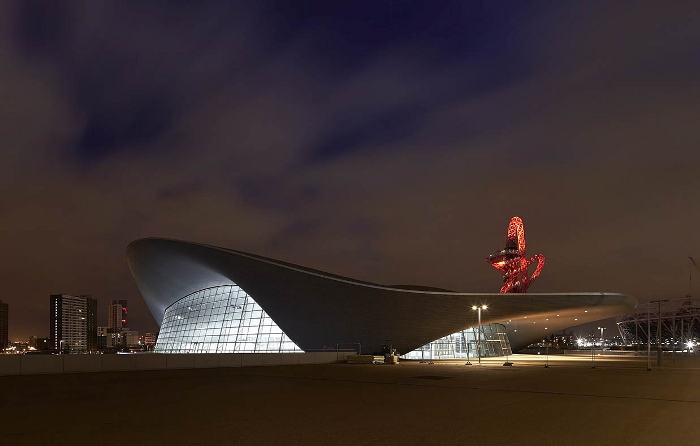 The building is on the running for this year's Stirling Prize, which is given for the year's best building in the UK. 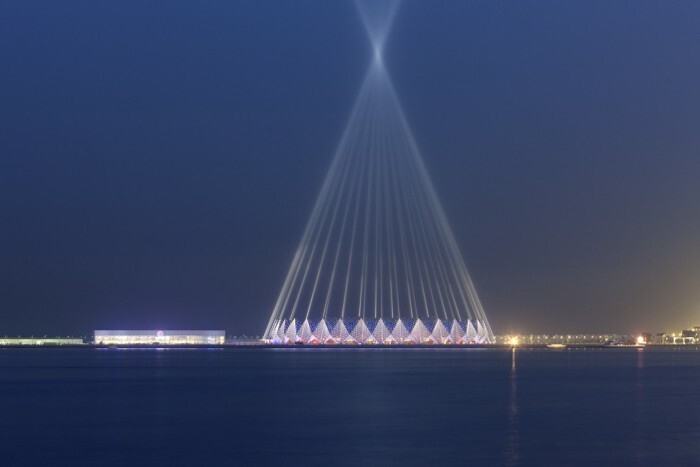 Designed and built in just eight months it's no wonder this stadium has been called the Baku Miracle - the moniker could also be a reference to the stunning light shows created by the 9500 LED lights placed in the facade. 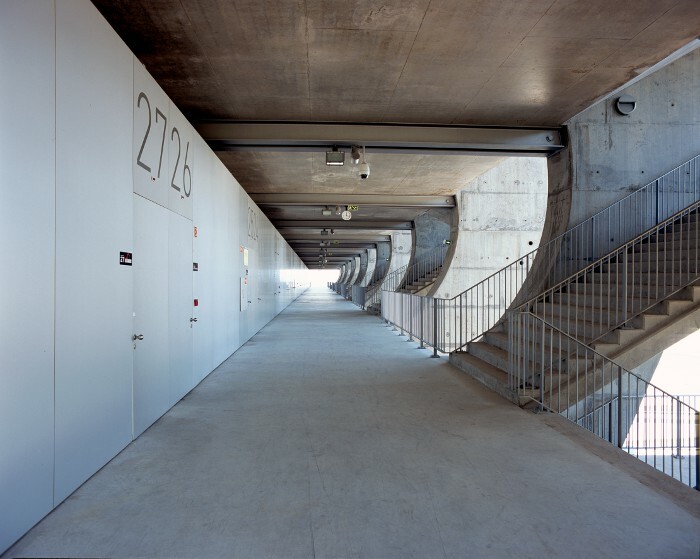 The stadium had to be designed and constructed simultaneously to be ready in time to host last year's Eurovision Song Contest, so German firm GMP Architekten worked closely with contractors Alpine Bau Deutschland and Nüssli throughout the project. 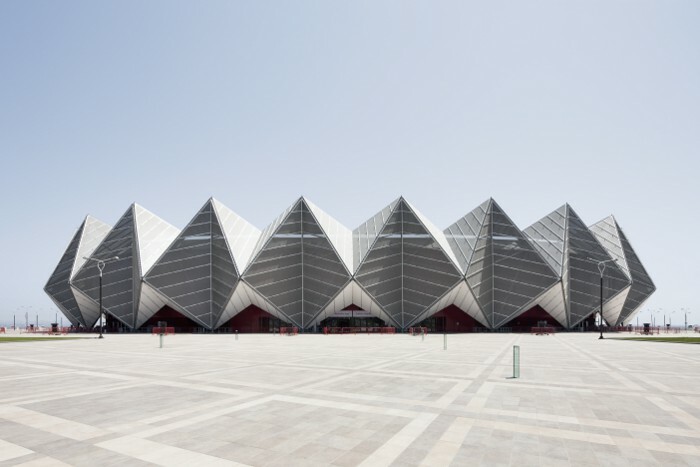 Conceived as both a concert hall and a sports stadium, the 25,000-seat venue comprises a lightweight steel structure with a faceted membrane facade intended to resemble cut crystal, giving the stadium its name. 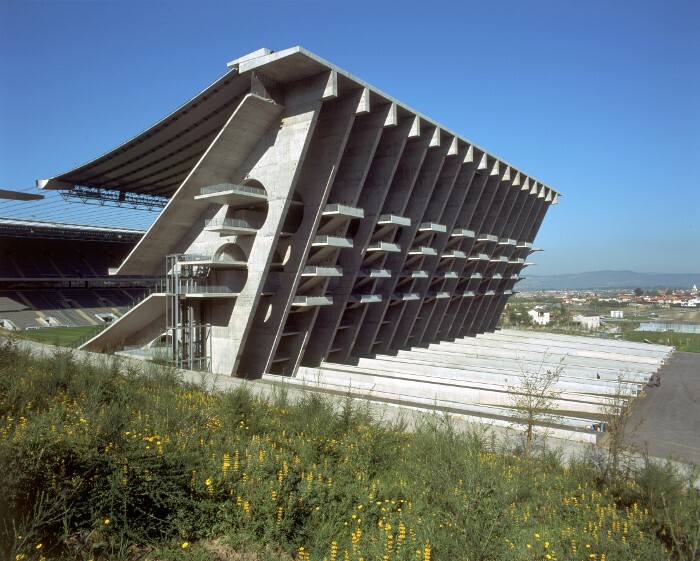 Designed by Pritzker Prize-winning architect Eduado Souto de Moura, this football stadium in Braga, Portugal is also known as A Pedreira (The Quarry), because it is carved into the face of the Monte Castro quarry that overlooks the city of Braga. Stands run only along both sides of the pitch. Behind the goal at one end are the rock walls of the quarry and at the other is an open view over the city sprawling in the distance. 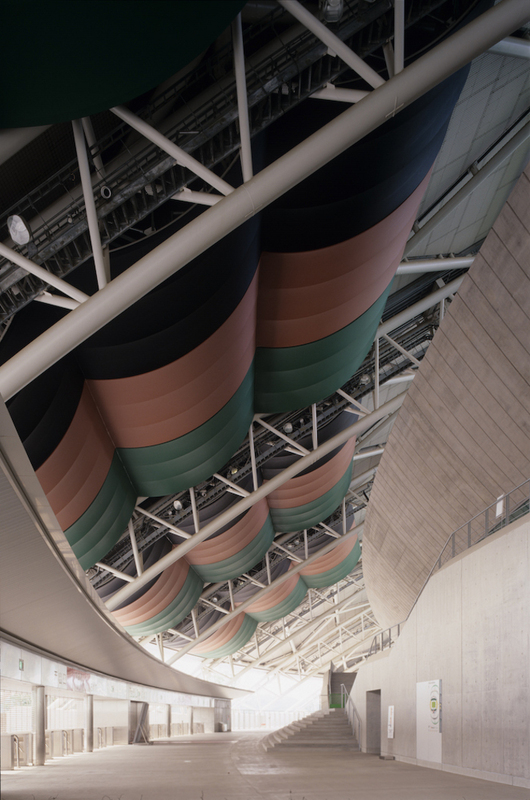 Each stand is covered with a canopy-style roof, and both are connected to each other across the pitch by dozens of steel strings, a design inspired by ancient South American Inca bridges. Once inside the stadium, moving from one stand to the other is done through a 5,000 sq.m plaza under the pitch. 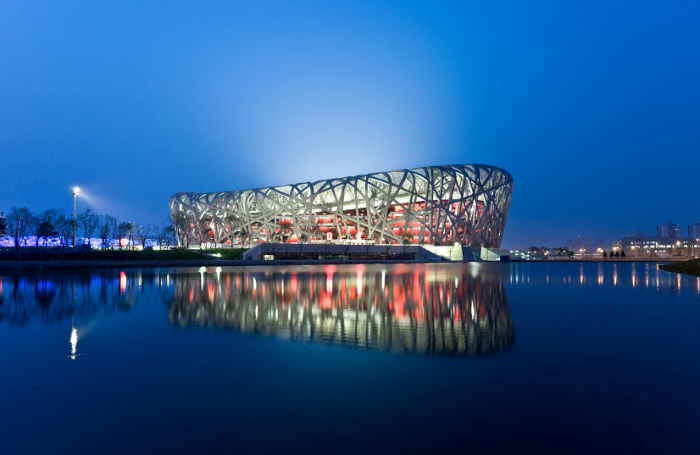 When one of the world's most innovative and creative architecture practices, Herzog & de Meuron, got together with world renowned Chinese artist Ai Weiwei to design a stadium for the 2008 Summer Olympics in Beijing, the result was always going to be something special. Beijing National Stadium - known as the Bird's Nest because of its intricate latticework of steel supports - is without a doubt one of the world's most beautiful stadiums. Despite its nickname, the stadium's design reportedly originated from the study of Chinese ceramics. Its circular form symbolises heaven, while the adjacent square looks like the Chinese symbol for Earth. 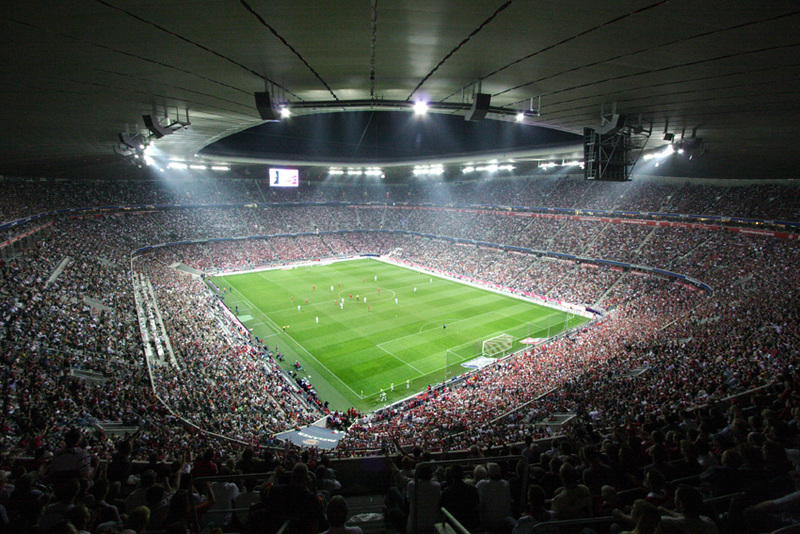 The stadium is 320 meters (1,050 feet) long, nearly 70 meters (230 feet) high, and holds nearly 100,000 seats. But despite its size, the structure is made less imposing by the use of the complex criss-cross of steel columns. 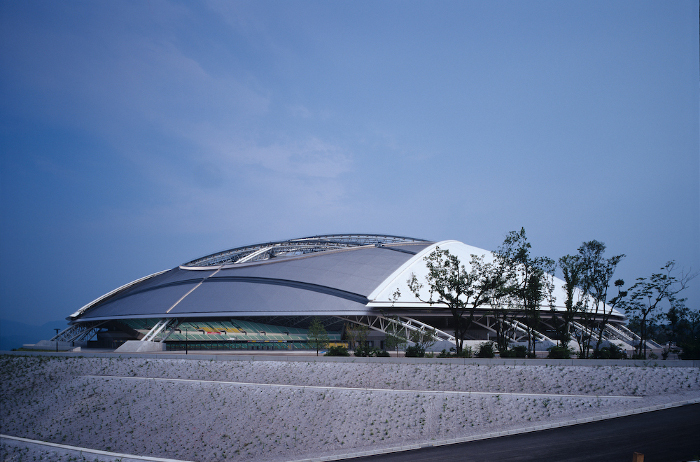 One of the venues for the 2002 FIFA World Cup, The Oita Bank Dome, is the creation of renowned Japanese architect Kisho Kurokawa. 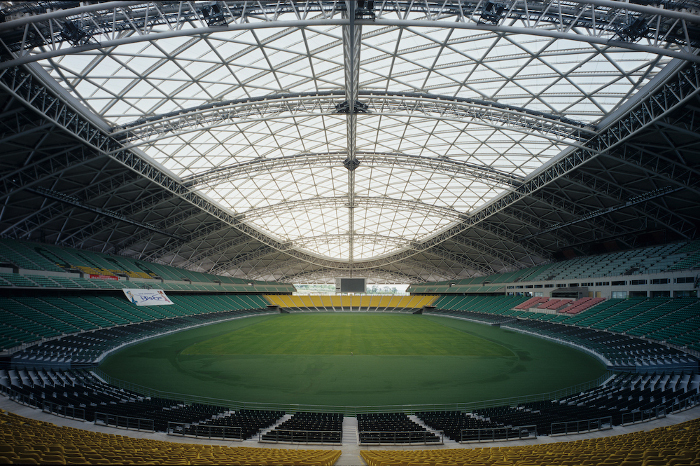 The stadium is nicknamed 'Big Eye' as the opening and closing of the retractable roof above the oval stadium resembles the blinking of a giant eye. Hovering above the pitch, the stadium ceiling, with its titanium-clad stationary portion also looks like a flying saucer. Lighter than glass, weather-resistant Teflon panels with tremendous tensile strength make up the canopy. 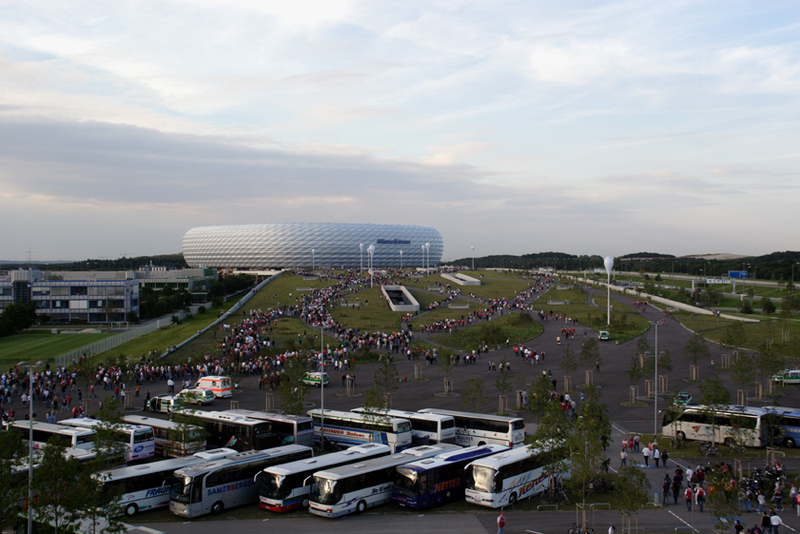 The stadium was chosen as 'Best Arena Design on the Planet' in 2001 by Architecture Week. 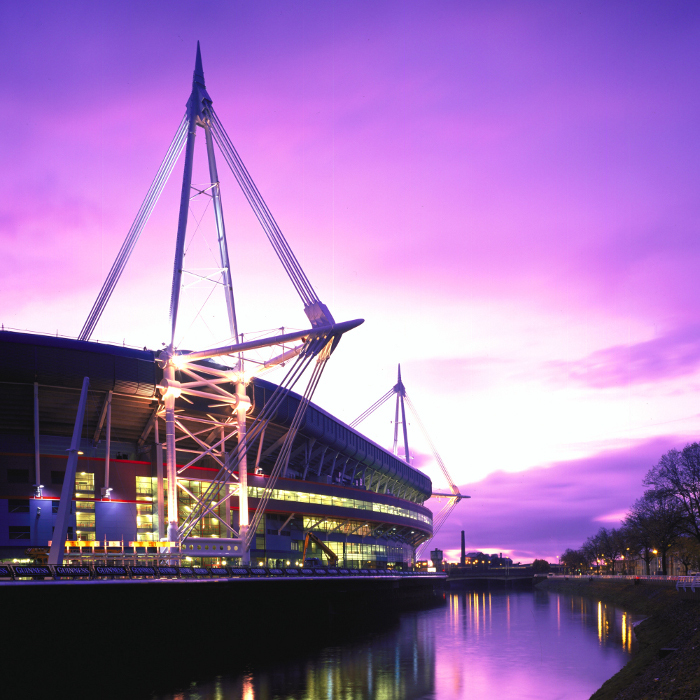 Designed for the Rugby World Cup in 1999, Cardiff's Millennium Stadium was the first to be built in the UK with an acoustically insulated retractable roof and the largest capacity of its kind in the world. Although it is most closely identified with rugby, the stadium hosts all kinds of sport, leisure and cultural activities. 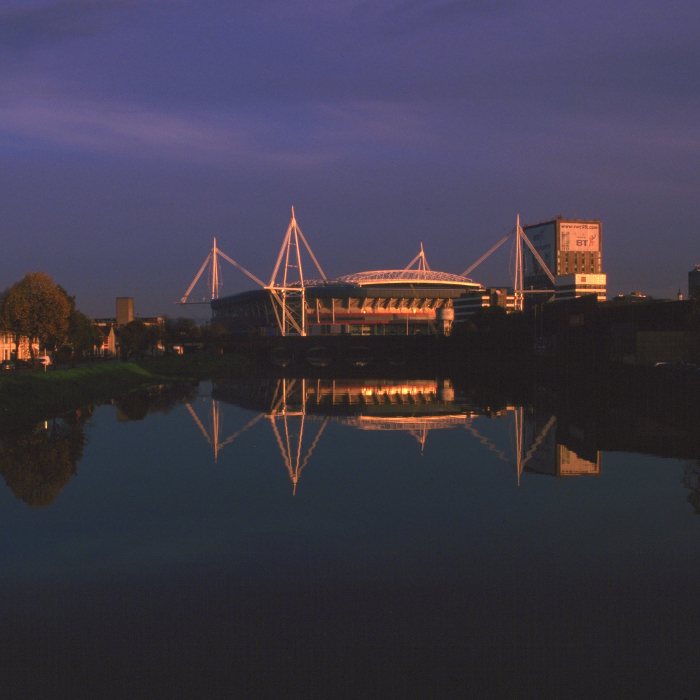 The stadium was also the catalyst for the regeneration of Cardiff city centre. The stadium interiors has a three-tiered profile, the middle of which provides club and corporate seating with private Hospitality boxes to the rear overlooking the arena. Stadium user accommodation is arranged over six levels and includes food and beverage concessions ranging from fast food to reserved table restaurants, merchandising franchises and retail outlets, a museum of sport, childcare facilities, all designed to allow access for disabled persons, and supported by extensive toilet facilities. Spectator accommodation has been designed with degrees of flexibility which allow the stadium to adapt and compete in a rapidly changing environment. The city centre location of the stadium allows easy pedestrian links with existing public transport terminals. 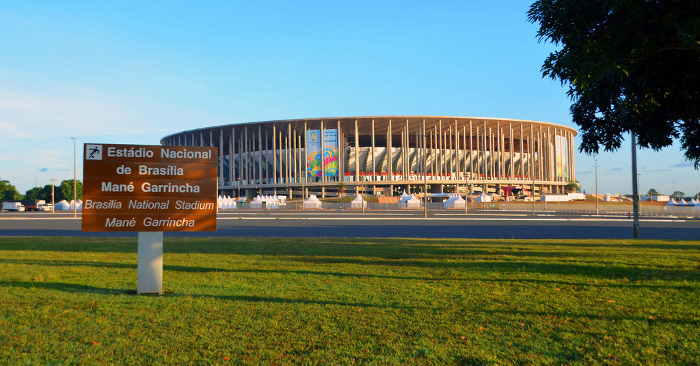 The city's Estadio Nacional has been all but demolished to make way for the stadium, which boasts a new facade, metal roof and stands, as well as a lowered pitch enabling unobstructed views from every seat. 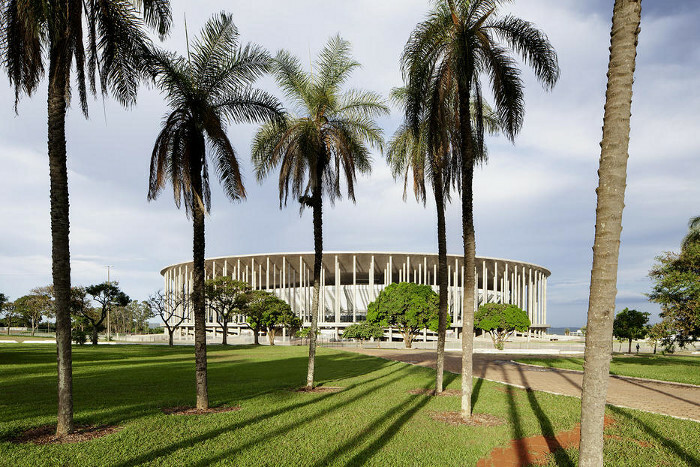 Founded on carbon neutrality, recycling and complete access via public transport, this environmentally friendly construction project consolidates Brasilia's status as a world leader in sustainable urban planning, creating a valuable legacy for other sectors of the local economy.